Dutch startup Convious, who help companies sell more direct, won the Global Startup Title of Get in the Ring in Cascais Portugal. Convious came out on top after beating startups from over 100 countries who all participated in this years edition Get in the Rings Global Pitching Competition. Convious use Artificial Intelligence algorithms to improve companies sales funnels. Their platform lets customers decide on the price they pay for a ticket. This allows companies to sell more tickets during downtime periods instead of giving away discount codes on other platforms. “We came to Global Meetup looking for connections with big brands – and that’s exactly what we got. I told the audience that my goal was to work with Disney. 15 minutes later, someone gave me the connection I needed. That wouldn’t be possible without Get in the Ring.” Kevin Westmeijer, Founder of Convious said. Other winners of the competition are Liquid Gold from South Africa who recycle urine to protect the aquatic environment and replenish the soils and Mind Rockets from Jordan who develop assistive technological solutions for the Deaf & Hard of Hearing worldwide. The Global Meetup was the final event of the Global Startup Competition and hosted 150 startups for a 3-day networking and social event together with investors and corporates. During the event various training and networking activities were hosted. A matchup session with 50 corporate partners resulted in more than 700 matches. 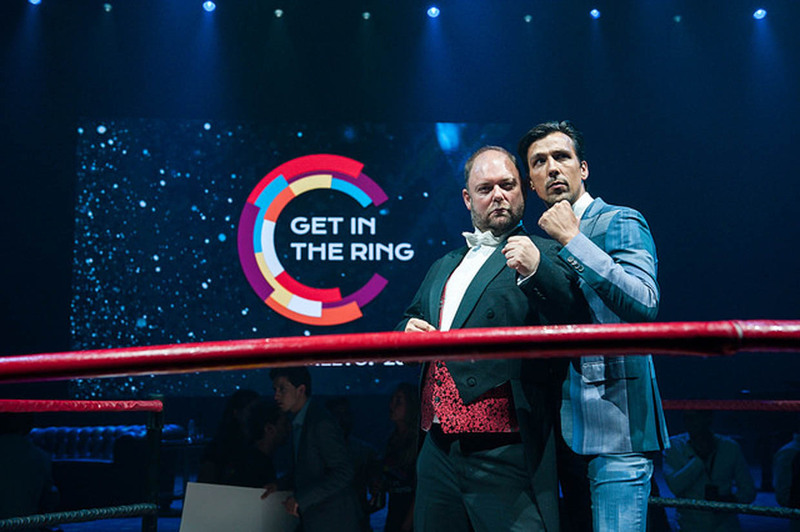 Jochem Cuppen, Global Director of Get in the Ring highlighted that this is really in the spirit of Get in the Ring. As part of the meetup, Prince Constantijn joined for an opening speech and a discussion with Dutch startups about how they can be further supported in scaling their businesses. During a fruitful discussion with wearable technology startups Labfresh, SkelEx and Lifesense, it emerged that Lifesense Group were able to close a round of funding round of $3 million from a Danish investor thanks to the support of Get in the Ring, Labfresh got the attention they needed to attract customers, and are now consistently selling out on pre-orders and SkelEx is collaborating with other startups at Global Meetup to provide even better offers to their corporate clients like Bilfinger. Constantijn challenged the founders to think bigger if they want to scale internationally and all three said the discussion was hugely beneficial.